West Palm Beach may just be the most perfectly balanced winter destination in Florida. Tame enough for the timid, lively enough for light partiers and close to high-end shopping for those who need that fix. It’s also far enough away from everything to feel as though you’ve gone somewhere upon your return. Its immediate outskirts o er charms as well (think world-class golf, fishing, polo and equestrian activities). 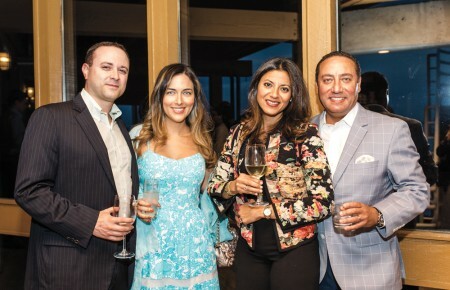 However the newly-opened Eau Palm Beach Resort and Spa in Manalapan, a 10-minute drive south of West Palm Beach, is a new favorite. Formerly a Ritz-Carlton, which severed ties publicly with the property last year, the Eau Palm is a place of opulent elegance and attention to detail. A Champagne and cold towel greeting is a great touch for new arrivals, and the staff (many of whom retain impeccable Ritz-Carlton manners) are friendly without falling all over themselves whenever a guest appears in the lobby. My one-bedroom suite was spacious, elegant and had an immediate calming effect. It was also pleasant to lounge on the beach, people-watch in the lobby, play sports or do nothing at all. The overall décor is rich but understated, a balance of dark woods and neutral walls. This is not the Florida of pink and turquoise wallpaper. It is fresh and decidedly contemporary in furnishings that stick to the colors of palm (green, mushroom and subtle earth tones) although many accessories are modern and metallic. Thankfully, the hotel’s decades-old seven acres are still exquisitely manicured and full of the swaying tropical vegetation that cools the 300+ guestrooms and suites in three towers that are graced with a palatial terrace and fire pit overlooking the ocean. Top-tier rooms include a concierge, private check-in and checkout, complimentary food and beverage services in the modern club lounge during designated periods, daily pressing service and VIP pool amenities. Club-level rooms have private balconies with views of the ocean or pool and gardens. Eau Spa cabana suites are ground-level rooms overlooking the ocean and are also close to the resort pools. Cabana suites also have separate bedrooms, a living room and two bathrooms, ideal for those seeking a home-away-from-home on longer stays. 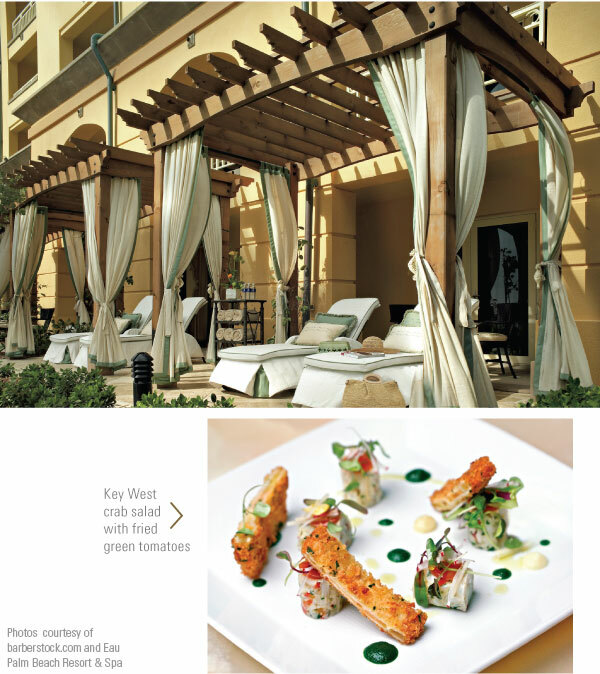 The benefits of lodging at high-end properties are many, but one of the chief pleasures is the removal of the need to think about what one wishes to eat at any time of day or night. Meals at Temple Orange are quasi-religious experiences. Glorious smoked salmon was buttressed against savory whitefish and plump, fresh shrimp, and the Mediterranean fare is equally exquisite. 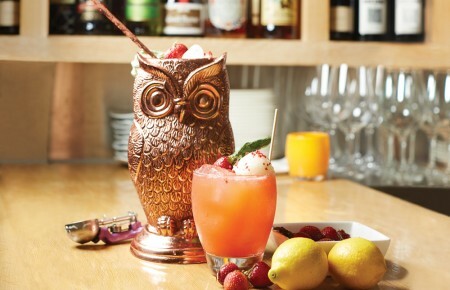 Eau’s main event, Angle, features contemporary fine-dining twists on classic American dishes. South Florida specialties like line-caught fish share menu space with dry-aged prime beef, classic appetizers and an award-winning wine list curated by sommelier Don Derocher. A guy called Sushi Jo, whom I first met in 2004, now has a string of restaurants. But he still sets up a cart once a week at Eau and serves creative, tasty fish and rice to a devoted coterie of fans. Joe also surfs when he’s off-duty, endowing him with that permanent surfer’s cheerfulness and tips on where to catch waves. Eau Spa does for spine and spirit what Temple Orange does for palate and soul. With 42,000 square feet to chill in, visitors can visit a scrub and polish bar, experience first-rate grooming, swing in hammocks, take a steam or a sauna or select a treatment in one of the spa’s 19 rooms. I’ve never been crazy about spa masseuses—most of them err on the side of cottonball rubdowns—but my Eau Spa staffer was a fierce warrior with much power in her fingers. She steamrolled knots and crunches from my winter-weary limbs, while I took a sublime, involuntary mental vacation to outer space. 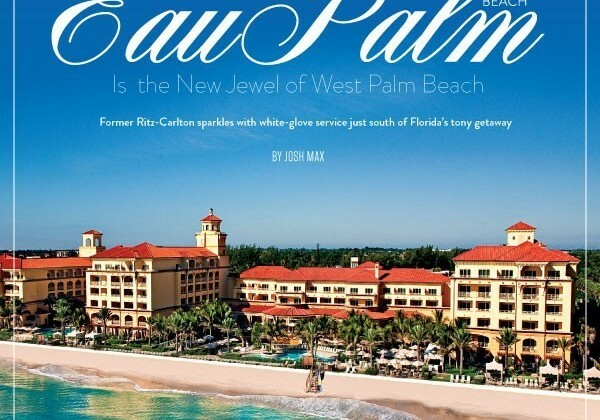 Eau Palm Beach is an oasis in Florida where the journey is about the destination. And the destination is a journey all its own. Explore the beauty of West Palm Beach’s Intercoastal Waterway and oceanfront mansions in style (of a sort) on one of the company’s lineup of scooters and electric and pedal bikes. for the Performing Arts Boasting four venues set atop the highest point in the city, this performing arts landmark showcases concerts, musicals and comedy sure to please. Breathe in the floral fragrances and experience olfactory grandeur at The Garden at Mounts.